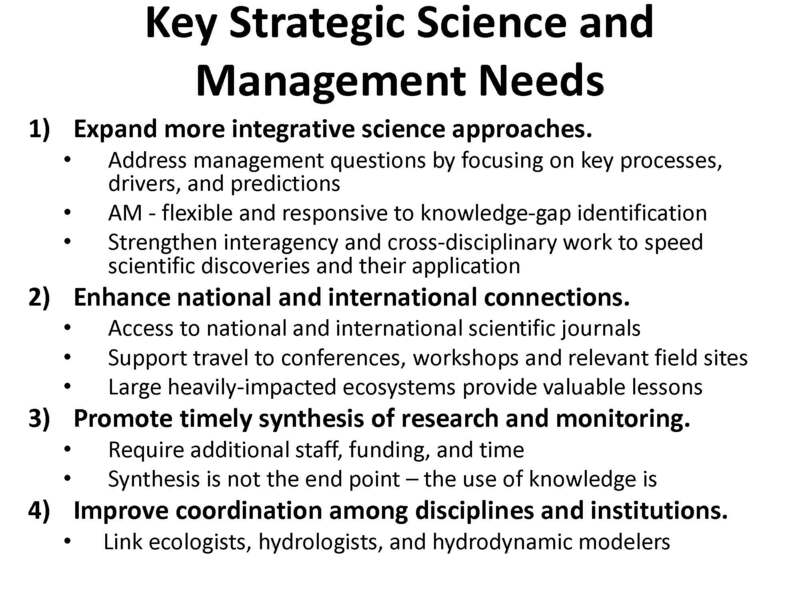 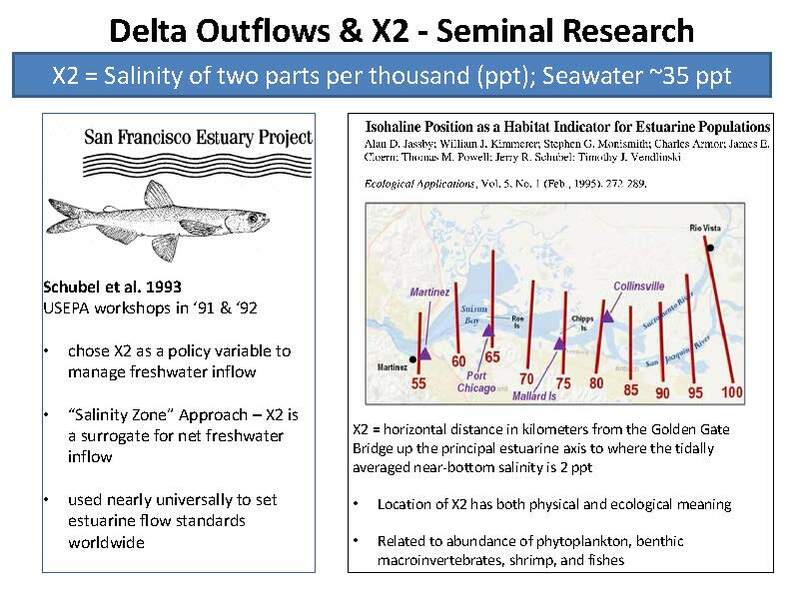 The stated mission of the Delta Science Program is to provide the best possible scientific information to inform water and environmental decisions in the Bay Delta estuary. 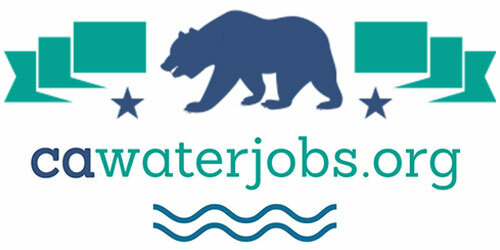 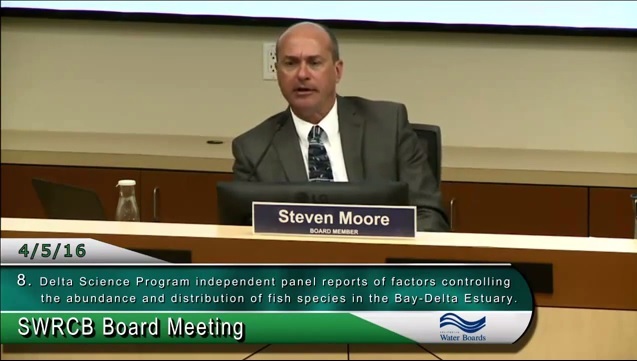 This includes organizing peer reviews and sponsoring workshops on important issues in the Bay Delta system. 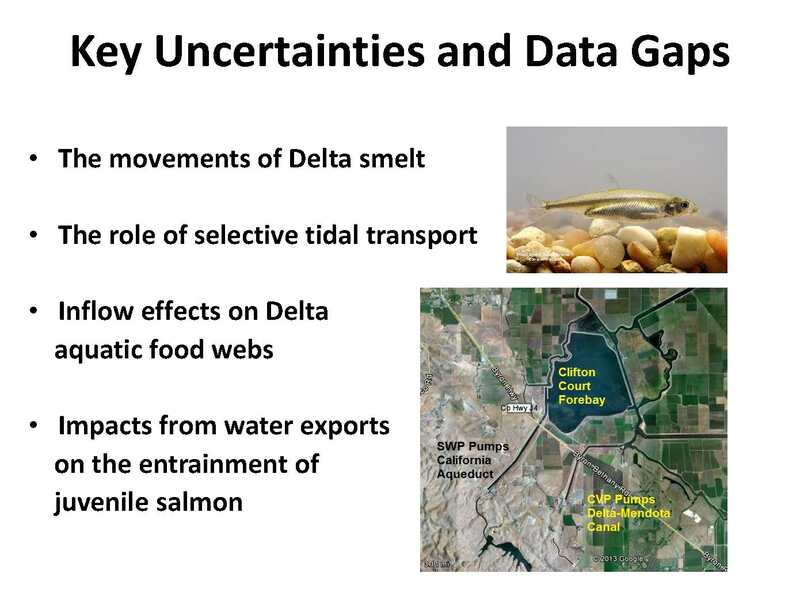 In recent years, the Delta Science Program has conducted multiple external peer reviews on factors believed to affect the abundance and distribution of fish species in the Sacramento-San Joaquin Bay Delta Estuary. 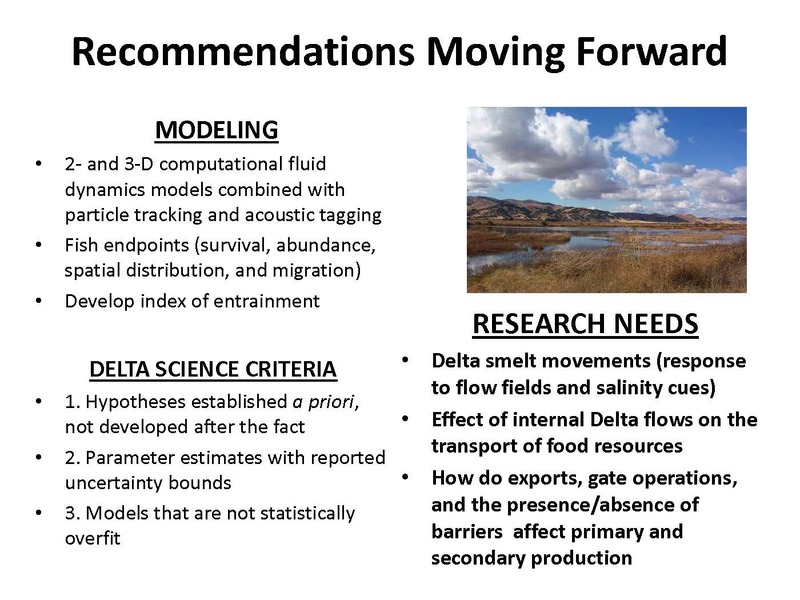 Two of the reviews, the peer reviews on the effect of interior Delta hydrodynamics and Delta outflow were conducted at the request of the State Water Resources Control Board (State Water Board). 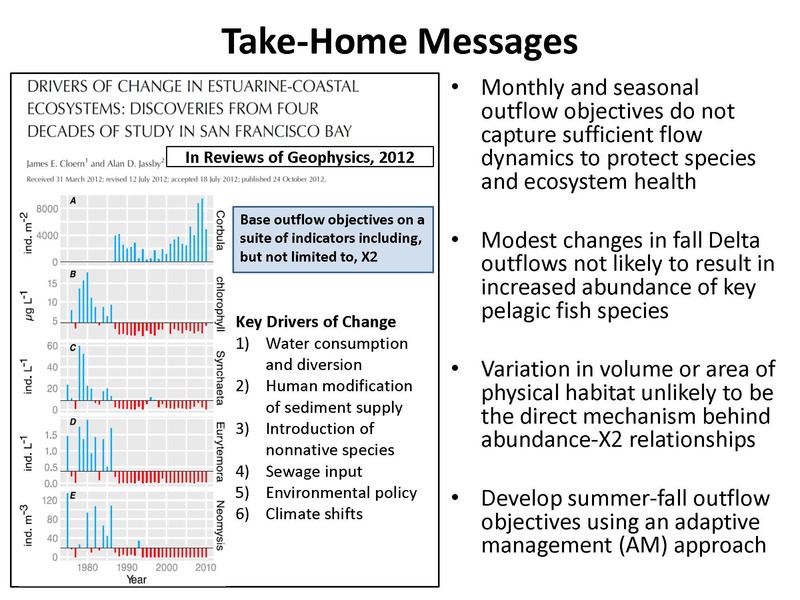 Dr. Dahm presented each of the reports in a similar manner, giving the background of the report, the key points and take home messages, key uncertainties and data gaps, and a specific look at the research going forward. 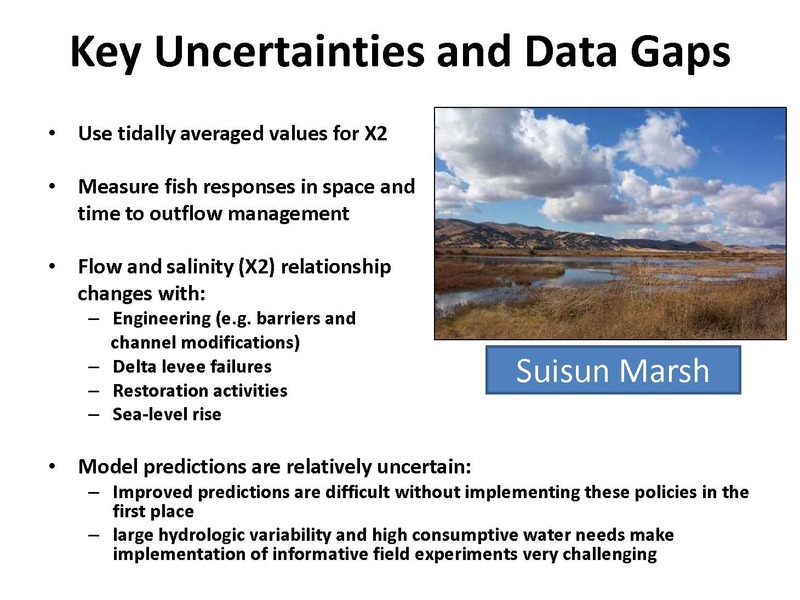 “More significant changes, or doing it all … ?” queried Ms. Marcus. 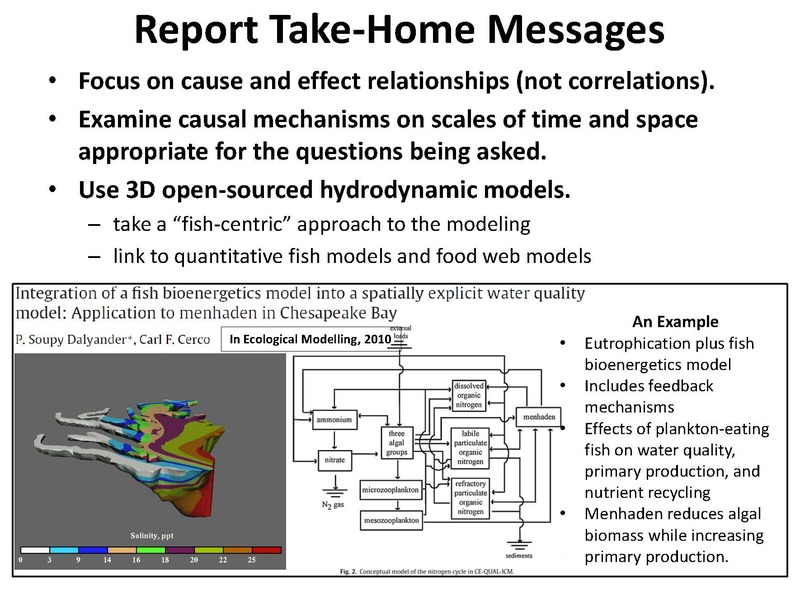 Another recommendation is to measure fish responses in space and time to outflow management. 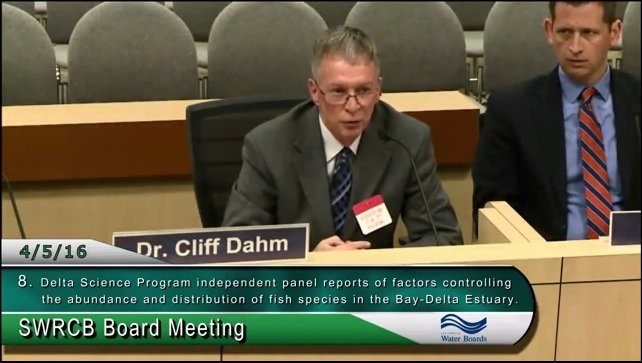 Our ability to put tags in smaller fish has improved; this latest generation of tags can be used on fish as small as 70 millimeters or about 3 inches long, said Dr. Dahm. 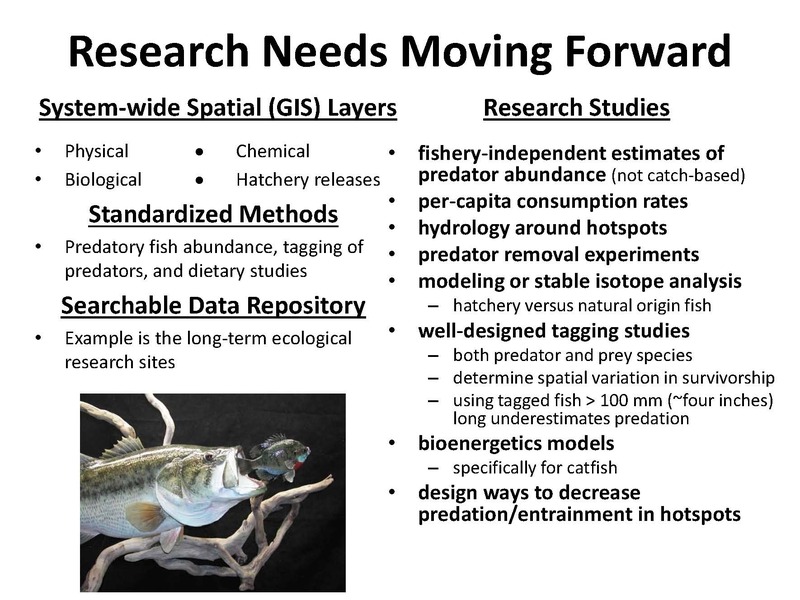 “This is a technology that will probably allow us to do better on measuring fish responses in space and time to various management actions,” he said. 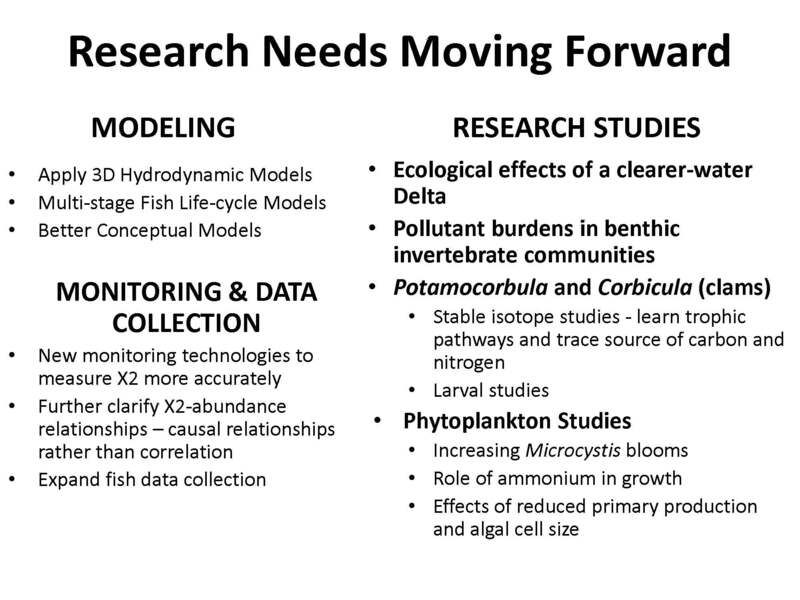 The panel did make a number of recommendations on research going forward, including improving the modeling capacity, but Dr. Dahm focused on the research studies needed. 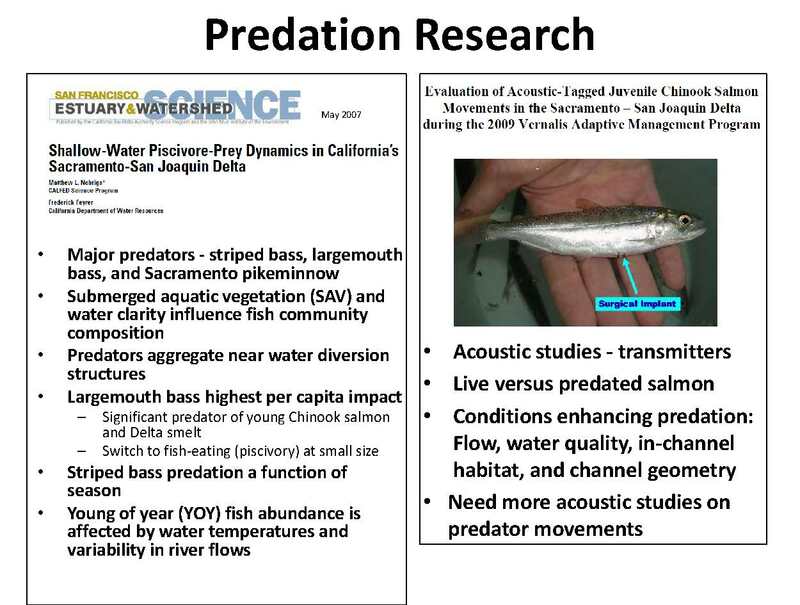 This report and subsequent studies have tried then to focus more information on predation, using small acoustic sensors on the fish to gather more information, he said. 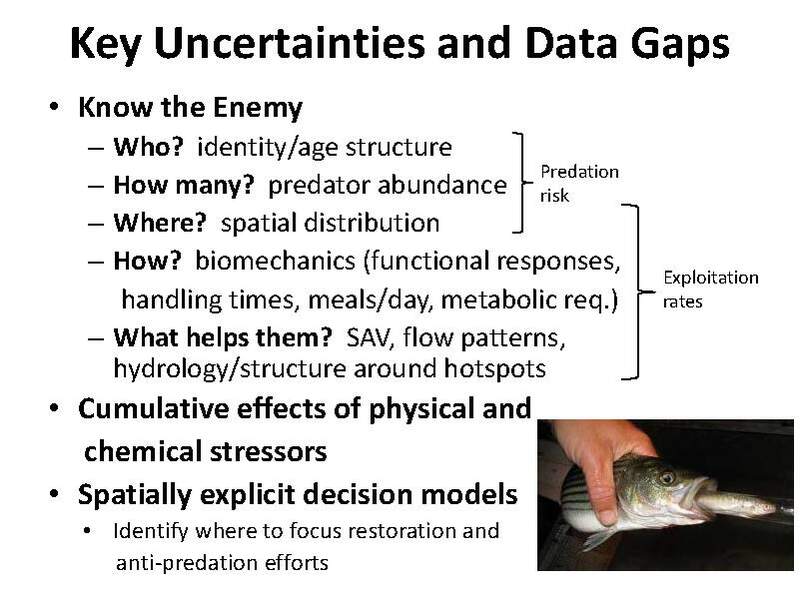 Key uncertainties and data gaps include having more information on predation risks and exploitation risks. 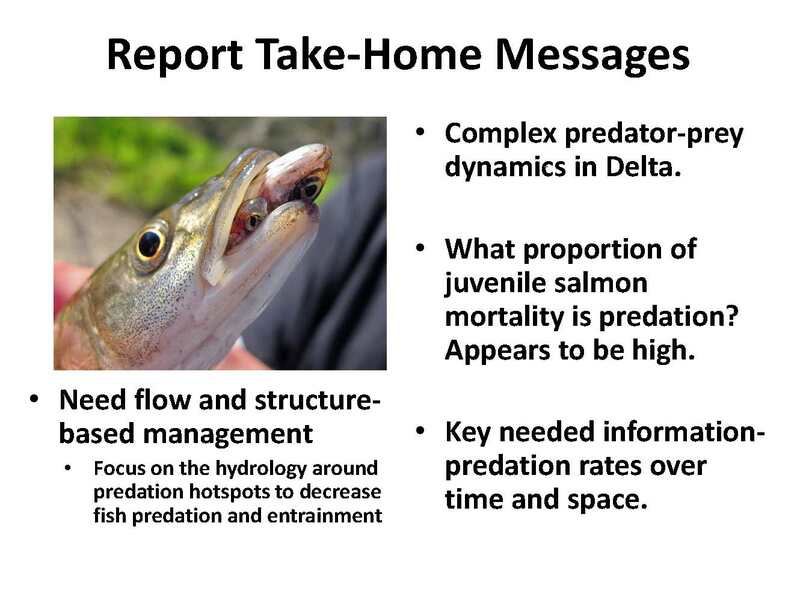 “If you’re going to deal with predation, you need to know who the predator is, you need to know how many of the predators there are, and you need to know where they are hanging out; you also need to know how they are gathering their prey, what are the biomechanics of predation, and what kinds of environmental things help them, like for example, submerged aquatic vegetation or certain flow patterns around certain types of structures.” While predator studies in the past have looked at striped bass and largemouth bass, a recent study found that channel catfish were another important predator, he noted. 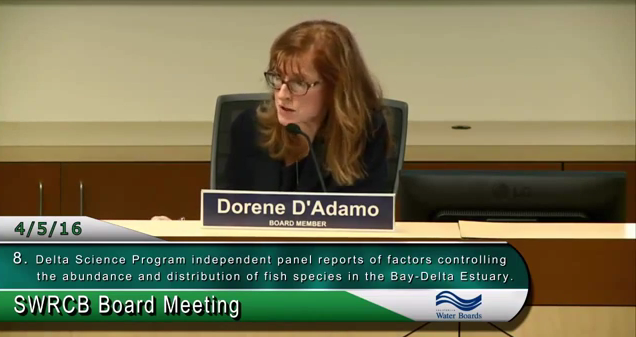 Board member Dorene D’Adamo asked Dr. Dahm to talk about the concept of flow being a master variable. 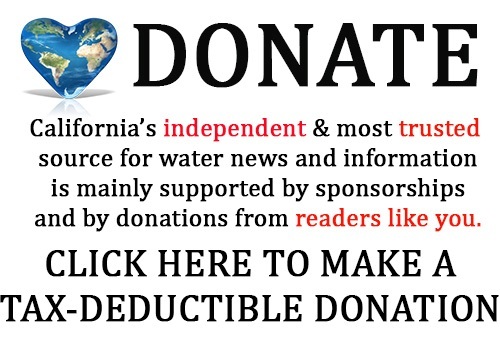 “It’s not just add water and everything gets better; it’s being strategic with the addition with water,” said Chair Felicia Marcus. 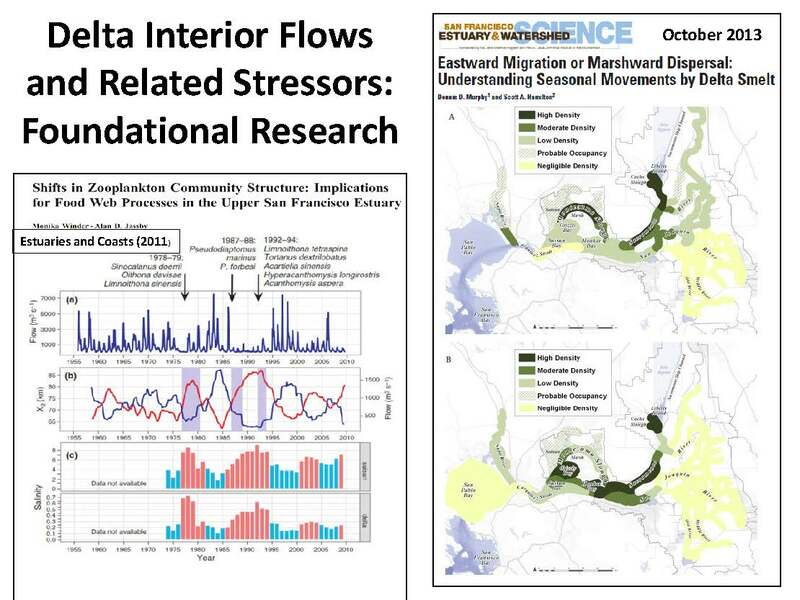 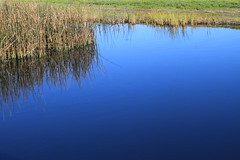 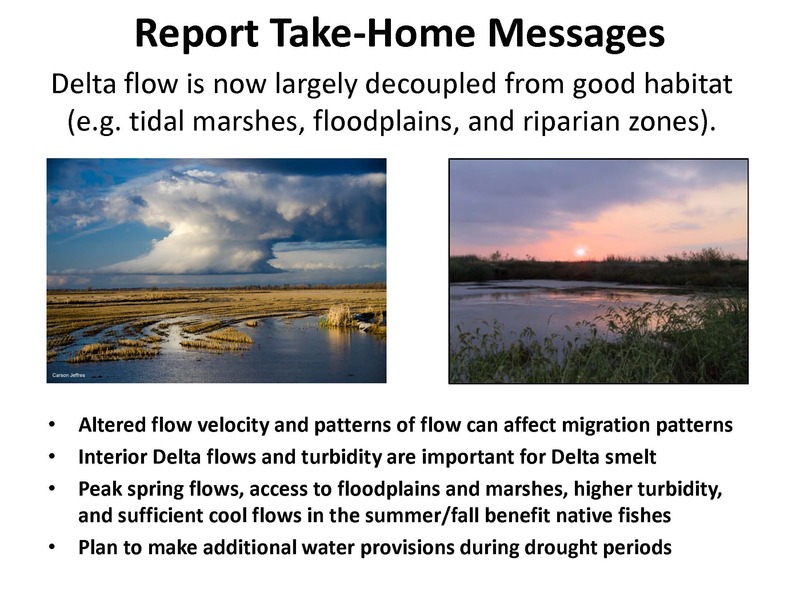 The last report is from the Delta Independent Science Board on flows and fishes in the Delta. 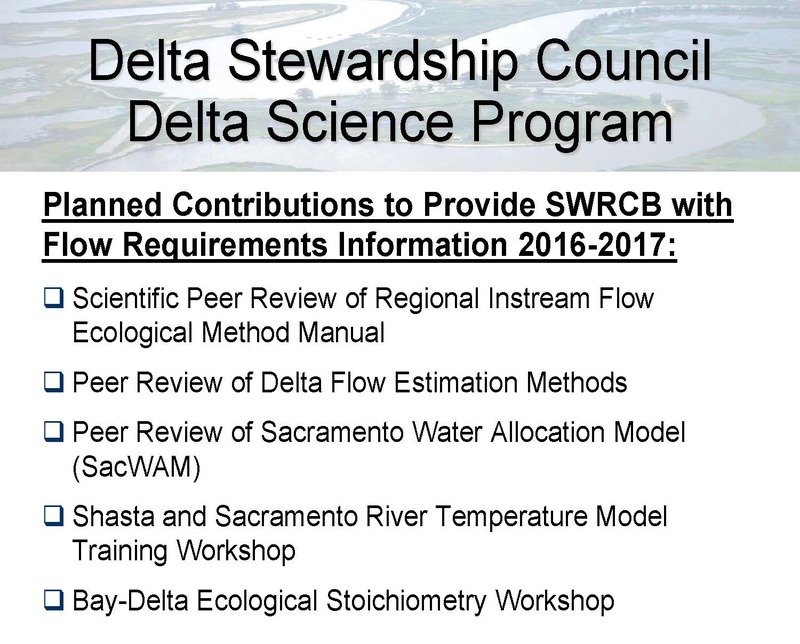 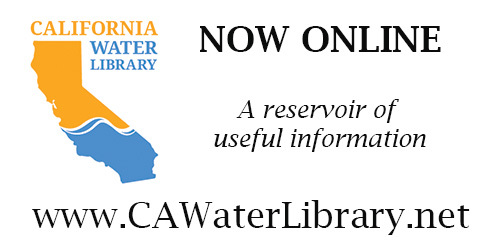 The foundational research for this report include the workshops on Delta inflows and Delta outflows, as well as the reports from the National Research Council’s assessment of the Bay Delta. 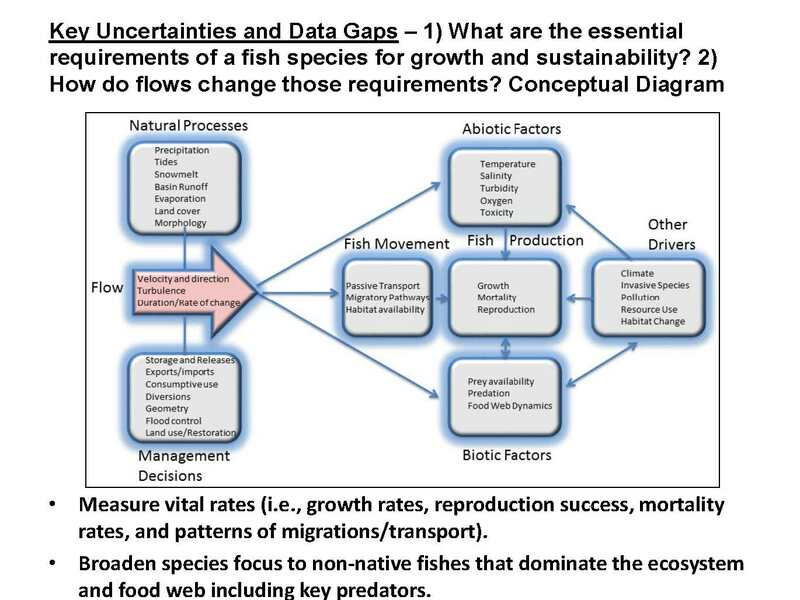 The report acknowledges there are many ways that flows can interact with fish populations, but they said we need to know more about growth requirements, flow links to basic requirements for getting adequate food supply, measure vital rates such as reproduction success, mortality rates, and migration and transport movement, he said.